T he Rajnikanth fever continues to grip his fans around the world. 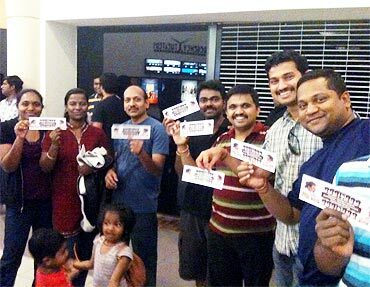 Reader Vadivel Ramasamy and friends from Denver, Colorado, watched the first day first show of Endhiran. Here, they flash their tickets excitedly. Share the Rajni madness with us.